This post was written by Jeri Alcock CFRE, West Coast Sales Manager at DonorSearch. If you could accurately predict the future you’d be a very successful person. You’d spend your days trading stocks at the exact right moment and catching kittens just as they fall from trees. You could be a crime-preventing, disaster-avoiding, money maker. Such seemingly far-fetched dreams. We might not have found a way to predict the world’s future, but we have uncovered a way for fundraisers to predict donors’ futures — prospect research. Prospect research is talked about a lot on this blog, which is quite reasonable given that it is DonorSearch’s specialty. When performing a prospect screening, you’re taking a holistic approach to donor analysis. You want the big picture of a prospect’s giving future, so you look at a combination of worthwhile factors. Take a dash of past giving, a teaspoon of nonprofit involvement, a pinch of real estate ownership, some secret ingredients, and mix it all together to whip up a batch of predictive donor profiles. In thinking about the ingredients that go into creating a prospect profile, we can typically see the various data types dividing into either wealth markers or philanthropic indicators. With wealth screening, nonprofits are looking at wealth markers in particular. Wealth screening is about giving capacity rather than willingness to give. A screening of this sort will answer one key question: How much can this prospect afford to give? Now, you’ll need to look at philanthropic indicators to see if that prospect will actually make the moves to donate, but wealth screening tells nonprofits what their prospects are capable of. The importance of that knowledge cannot be oversold. There are five main benefits to fundraising with wealth screening. Some of those wealth screening benefits are more talked about than others, but all five of them can have a big impact on the success of your nonprofit’s fundraising campaigns. When we talk about prospect research and wealth screening by extension, increasing major gifts is always a top priority. Wealth screening can have a huge impact on a fundraiser’s ability to bring in incredibly lucrative major gifts donors. Every organization, regardless of size, wants major gifts. Unfortunately, many miss out on opportunities to draw in those prospects, or they bungle the solicitation. Major gift donors are not hard to find if you know where to look. Let wealth screening be a personal compass. The challenge with those donors comes with actually convincing them to make donations, a task that can be very time consuming. With the help of wealth screening, fundraisers can readily determine who in their prospect pool is actually a major gift candidate. That way, staff isn’t spending valuable time hunting for major gift prospects, and is, instead, using those opportunities to reach out and properly cultivate relationships with those donors. Nonprofits largely benefit from and certainly want planned gifts. Nonprofits find it very difficult to uncover planned giving prospects. When fundraising with wealth screening as a tool, planned giving prospects are much easier to find, and nonprofits get to reap the rewards. The exciting thing about planned gifts is that even sizable contributions don’t always come from your wealthiest supporters. Some people who cannot make large gifts during their lifetimes due to financial restrictions will often allocate a portion of their funds to go to certain charities after passing away. However, many of your biggest planned gifts are going to come from your wealthiest donors, and wealth screening will help you locate those candidates so that your staff can best advocate for the future donations. Is there ever a right time to ask for money? Though popular opinion might disagree, there certainly is a right time to ask for money, and wealth screening will help your fundraisers find that sweet spot. One of the biggest responsibilities of a prospect researcher is working with fundraisers to determine a donor solicitation strategy. You take all this valuable data you gathered during the screening process and transform it into tangible insights into your various prospects. A well-timed ask will go a long way towards helping secure a donation, whether you’re trying to upgrade a monthly donor or sending out promotions for planned giving opportunities. Timing is critical, but asking for the right or wrong amount is a complete game changer. Making fundraising asks is a delicate tightrope walk. Ask too little and your organization is missing out on the potential benefits. Ask too much and your prospect is likely to scoff and pull away. Wealth screening is the perfect companion to setting recommended ask amounts. Strategizing about predicted gift size is one of the most important features of wealth screening for fundraising. Ensure that your fundraisers feel confident about what they are asking of donors by conducting accurate wealth screening. Philanthropic indicators tell you that you need to be making the ask in the first place, but wealth markers take the wheel when it comes to specific planning around gift amounts. Realistic goals are a vital part of the success of any endeavor, fundraising included. It can be challenging to estimate what a good campaign goal is, especially given how unknowable the entire process of fundraising can be. Wealth screening can help shape your fundraising goals. With that research available, you’ll have a good sense of how much donation potential is waiting in your prospect pool. And, you’ll be able to evaluate if your fundraising methods were effective in acquiring those donations. Failing to reach or far exceeding unrealistic goals doesn’t help anyone in your nonprofit in the long run. The best way to determine the effectiveness and efficiency of your fundraising campaigns is to have a good sense of what their financial potential is beforehand. Wealth screening will be a major resource for defining that potential. Wealth screening does have its limits. However, the benefits are certainly there as well. 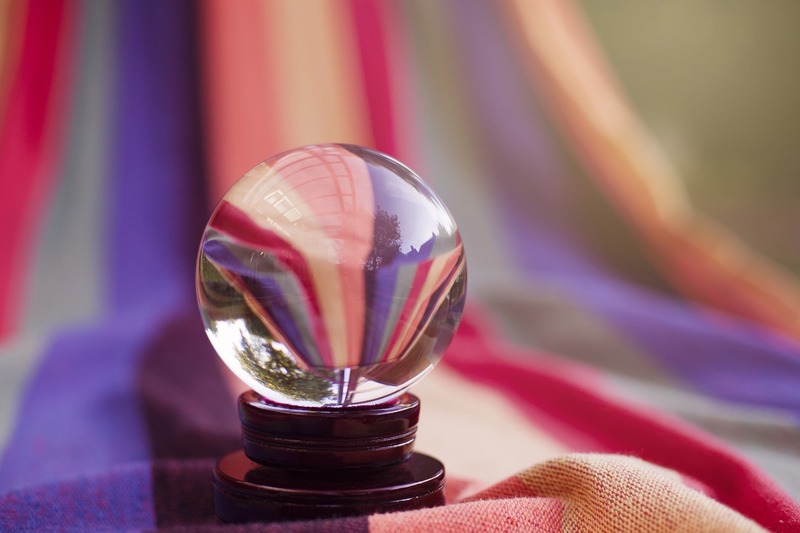 And as long as the wealth markers are analyzed in conjunction with philanthropic indicators, your nonprofit is going to feel downright psychic with its donor predictions. Prospect research would not be possible without wealth screening.